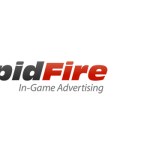 Vancouver, BC – May 26, 2015: RapidFire, the industry’s leading in-game advertising network, is pleased to announce today an important partnership in which Maxony Media will exclusively sell RapidFire’s dynamic in-game advertising inventory in the Turkish market. The partnership marks the first time ever, that brands and media buyers in Turkey can advertise inside of console and computer video games in a way that’s both measurable and scalable. RapidFire’s technology allows advertisements to be streamed in real-time inside of a video game’s 3D environment on objects such as billboards, hoardings, bus stops, and posters – essentially any object inside of a game where a player is likely to see an advert in real life. The dynamic in-game advertising can also be geo-targeted, which enables RapidFire to control ad delivery based on countries, states, or cities. So a gamer based in the USA will likely see different advertisements than a gamer based in Turkey, while playing the exact same video game during identical time periods. The RapidFire network currently has an impressive reach in Turkey, with over 600,000 monthly unique players, and serving over 22 million impressions to those users each month. To date though, RapidFire has been unable to adequately monetize this user base, and maximize revenue in Turkey to its fullest potential. With Maxony Media now taking the helm, they are extremely well positioned to exclusively represent RapidFire’s inventory in the Turkish market, having already formed close-ties with many of the leading brands and media buying agencies in Turkey over the past 8 years. Maxony Media was founded in 2007. The core business of the agency is media planning and media sales. In 2012 Maxony Media produced its first movie film. As a full service agency, Maxony Media has relationships with most leading brands and agencies in Turkey. Maxony Media is also working to develop cutting-edge advertising technologies. With exclusive sales rights of RapidFire’s in-game advertising network, Maxony Media brings a valuable advertising model to Turkey. Maxony Media will introduce brands to Turkish console gamers by using real-time advertising technologies. Vancouver, BC – March 18, 2014: Reloaded Interactive, the leading global in-game advertising network, announced today that it has changed its name to RapidFire to build a much more recognizable brand, and to better represent its unique technology for serving real-time advertisements inside of video games. RapidFire’s quick support and solution for lightning-fast integration, completely bypasses the slow lead-times of traditional product placement type ads in games. A new logo has already been designed, and features modern red/black text, and a simple yet elegant flame icon. Various web properties of RapidFire will also undergo re-design in the coming weeks, including a new site at www.rapidfire.com as well as a rebranded ad server and client statistics dashboard. The past 12 months alone have been a huge success for RapidFire with over 90 in-game advertising campaigns delivered for top brands like Virgin EMI Records, Paramount Pictures, McDonald’s, and Red Bull. The company is rapidly expanding its presence outside of North America, with ad sales representation and vast inventory in markets like the UK, Germany, Australia, Brazil, and South Africa. The RapidFire ad servers and technology allow brands to have their time-sensitive ad campaigns streamed inside video games on virtual objects such as billboards, hoardings, posters, and TV screens. The network currently delivers into 11 AAA game titles for console, mobile, and PC platforms. 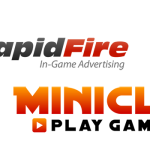 RapidFire is partnered with several leading game companies such as Miniclip, Cybersports Ltd, and Ubisoft. RapidFire (formerly Reloaded Interactive) is the World’s leading in-game advertising company, founded in the fall of 2011 and is headquartered in Vancouver. The company enables advertisers to target millions of highly engaged consumers playing video games across a wide range of gaming platforms and genres. In addition to offering a dynamic in-game advertising network, RapidFire also leverages its relationships with game developers to offer brands the ability to launch product placement and advergaming campaigns. RapidFire is privately held, and is an active member of IAB Canada and IAB UK. From December 1st, 2013 through to February 17th, 2014, we’ll be running the Dynamic In-Game Advertising (DIGA) campaign for Debonairs Pizza, spreading the word about their brand new Amazing Kitchen. 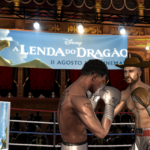 DIGA is the type of in-game advertising that can be served in real-time inside of Console, Computer, and Mobile video games. Dynamic in-game ads are commonly featured on billboards, hoardings, and posters situated throughout virtual 3D game environments. For example, think of a video game that takes place in a Soccer Stadium or in Times Square – you’d expect to see real-life advertisements in these virtual environments – so that’s exactly what our company delivers! For those that don’t already know, Debonairs Pizza is one of the largest chains of Pizza restaurants in Africa and the Middle East. Their new ‘Amazing Kitchen’ promo coincides with their hit TV commercial launched in early December, which highlights the kitchen where their amazing pizzas are created. Using our proprietary ad serving technology, we were able to geo-target the Debonairs Pizza campaign (based on a gamer’s IP address) to the South African market. Our network happens to have an impressive reach in the South African market, with regards to both ad impressions and unique gamers. Working closely with Deboanirs Pizza’s media buying agency, we delivered the campaign across two of our blockbuster video game titles. One of the campaign’s many strengths, was the fantastic banners developed by Debonair’s creative team – the ad imagery was created specifically for In-Game Advertising, and was highly visible while being displayed on various billboards and hoardings within our network of games. This helped tremendously with raising brand awareness, and enabling gamers to have a much higher recall rate. 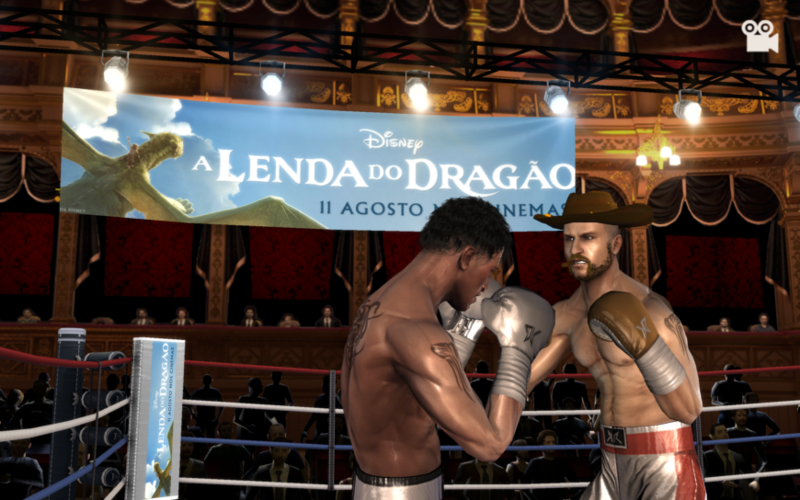 DIGA is the type of in-game advertising that can be served in real-time inside of Console and PC video games. Dynamic in-game ads are commonly featured on billboards, hoardings, and posters situated throughout virtual 3D urban and sports environments. For those that don’t already know, Dexter is a critically acclaimed TV series, enjoying 8 successful seasons (96 episodes) between October 1, 2006, to September 22, 2013. The series centres around Dexter Morgan (Michael C. Hall), a blood spatter pattern analyst for ‘Miami Metro Police Department’ who also leads a secret life as a serial killer, hunting down criminals who have slipped through the cracks of justice. Dexter has received four straight Primetime Emmy Award nominations during it’s run. Using our proprietary ad serving technology, we were able to geo-target the Dexter campaign (based on a gamer’s IP address) to the Australian market. Our network happens to have significant reach in the Australian market, with regards to both ad impression and unique gamers. Working closely with Paramount’s media buying agency, MEC Australia, we delivered the campaign across six of our blockbuster PC video game titles. One of the campaign’s many strengths, was the fantastic banners developed by MEC’s creative team – the ad imagery and text were highly visible and prominent while being displayed on various billboards and hoardings within our network of games. This helped tremendously with raising brand awareness, and enabling gamers to have a much higher recall rate. Starting October 28th, 2013 and running until November 20th, 2013, we ran the Dynamic In-Game Advertising (DIGA) campaign for Paramount Pictures, one of the top film companies in the World. For those that don’t already know, DIGA is the type of in-game advertising that can be served in real-time inside of Console and PC video games. Dynamic in-game ads are commonly featured on billboards and posters situated throughout virtual 3D urban and sports environments. The campaign promoted the smash-hit comedy film called ‘Jackass Presents: Bad Grandpa’, starring Johnny Knoxville as grandpa Irving Zisman. The movie takes a hidden camera format, which bares resemblance to films such as ‘Borat’ and ‘Bruno’. Bad Grandpa is now the fourth installment in the Jackass film series, and was released in theaters on October 25th, 2013. Using our proprietary ad serving technology, we were able to geo-target the campaign (based on a gamer’s IP address) to the Australian market. Australia happens to be one of the largest geographic markets in our network, with regards to both ad impression and unique reach. Working closely with Paramount’s media buying agency, MEC Australia, we delivered the campaign across nine of our blockbuster PC video game titles. We also age-targeted in the sense that we campaigned across specific games in our network that are rated ‘T’ for Teen or ‘M’ for Mature – with the goal of reaching a more mature audience, based on the film’s target demographic. This past Friday, PlayStation Magazine UK published a terrific and detailed article on the current value of the In-Game Advertising industry, and why brands & media buyers are investing over $1 Billion dollars annually on reaching this audience. And why wouldn’t they? – industry analysts have conservatively estimated that over 70% of the World’s population play video games, and the gaming industry as a whole is worth more than $100 Billion Worldwide. All that being said, it’s pretty obvious and makes perfect sense to put advertising dollars where the consumers flock. 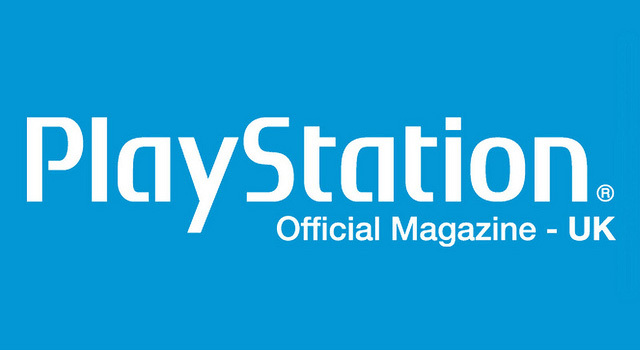 For those of you that don’t already know, Official PlayStation Magazine UK (or OPM for short), is a magazine based in the UK that covers primarily Sony PlayStation related news, as well as general industry news that may relate directly/indirectly to the Sony PlayStation platforms. In the article, our staff at RapidFire were heavily quoted as industry veterans, and we shared our insight and knowledge about the future of In-Game Advertising and how it might affect games being released on the highly anticipated PlayStation 4. The snippet above is the innovative message behind Oxford’s latest promo called ‘The Big Project’. For those unfamiliar – Oxford is one of the World’s leading providers of office and school paper products; putting notebooks, notepads, and diaries into the hands of millions around the World. With a target demographic of predominantly teens and young adults, what better way to reach these individuals and spread the word about ‘The Big Project’, than advertising inside of video games? …So that’s just what we did! Starting on October 21st, 2013 and running until December 1st, 2013, we ran the dynamic in-game advertising for Oxford, delivering across several action and sports video game titles. The ads were delivered in real-time, and were geo-targeted to the Polish market. Based on the feedback of several surveyed gamers, the majority actually liked the advertisements in the game, and felt that the ads made the game look more realistic. Additionally, recall rates were higher versus other areas of exposure to the campaign, such as on Facebook or through online display advertising.